Would the Zetas care to comment on this bizarre event in Norway? 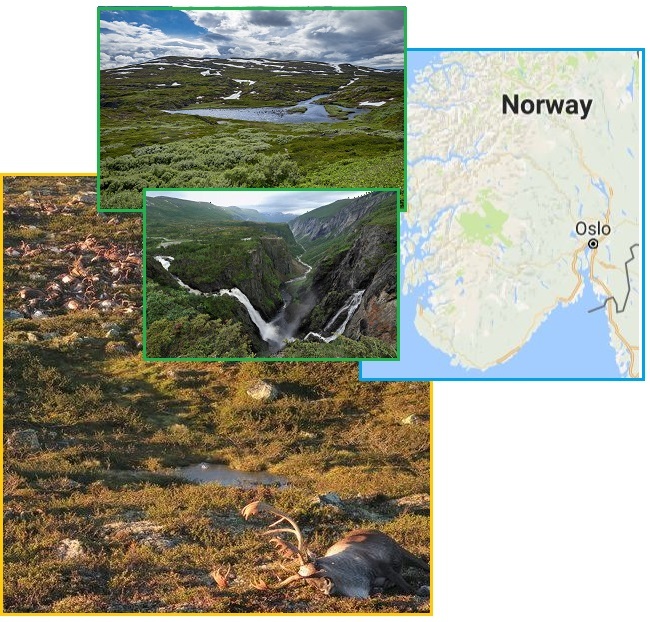 Allegedly, a single lightning bolt cause death to 323 reindeer on the Hardangervidda plateau (located near Rauland and Oslo in the southern half of Norway) during a thunderstorm. Some needed to be euthanized. Contrary to what the article claimed, they were not “huddled” together, but spread out over a vast area on a hilltop. Is this another example of an EMP hitting the earth? [and from another] http://www.theatlantic.com/news/archive/2016/08/reindeer-deaths-norway/497837/ [and from another] http://www.npr.org/sections/thetwo-way/2016/08/29/491818444/323-reindeer-killed-in-lightning-storm-in-norway The Norwegian government says 323 reindeer were apparently struck by lightning last week and died. The animals lived on a mountain plateau in central Norway called the Hardangervidda. The rugged alpine landscape is (usually) a good place for a reindeer. The Norwegian Nature Inspectorate wrote in a press release that officials discovered a field of carcasses [August 26] while they were supervising hunters in the area. Reindeer are pack animals and are often close together. During a heavy thunderstorm, they may have gathered even closer together out of fear. The high plateau of the Hardangervidda has characteristics that would attract lightning – high ground and water. How could a lightning storm run across the ground, affecting so many animals, when it normally tries to ground directly? This is rocky land, so that the runoff of water from the rains creates crashing waterfalls, part of the beauty of the reserve. Electricity wants to follow water, to effectively ground, but if this is not directly connecting to an underground water table it will run across the rock until such an outlet is found. Lightning storms are on the increase, and this increase will continue as friction between the charged tail of Nibiru and the Earth’s atmosphere increases. Is this part of the current prong in regard to preparing the populace? The technical details of the story seem very thin, yet the media is actively promoting idea, concurrent with many new “habitable” planetary discoveries. [and from another] I read the report about SETI and Russian authorities finding an extra terrestrial signal(s). Does this relate to the impending passage of Nibiru? Is SETI now a part of the prong 3 revelations? Would the zetas care to comment on this new signal? Could it be directed at us or is it a communication with the council of worlds or other visitors? [and from another] http://www.cnn.com/2016/08/30/health/seti-signal-hd-164595-alien-civilization/ Astronomers engaged in the search for extraterrestrial intelligence (SETI) are training their instruments on a star around 94 light years from Earth after a very strong signal was detected by a Russian telescope. [and from another] http://observer.com/2016/08/not-a-drill-seti-is-investigating-a-possible-extraterrestrial-signal-from-deep-space/ An international team of scientists from the Search for Extraterrestrial Intelligence (SETI) is investigating mysterious signal spikes emitting from a 6.3-billion-year-old star in the constellation Hercules—95 light years away from Earth. The implications are extraordinary and point to the possibility of a civilization far more advanced than our own. The unusual signal was originally detected on May 15, 2015, by the Russian Academy of Science-operated RATAN-600 radio telescope in Zelenchukskaya, Russia, but was kept secret from the international community. The SETI institute is diverting its Allen Telescope Array in northern California to investigate while their counterparts at METI International (Messaging Extraterrestrial Intelligence) will use Panama’s Boquete Optical Observatory. The signal’s strength indicates that if it in fact came from a isotropic beacon, the power source would have to be built by a Kardashev Type II civilization. 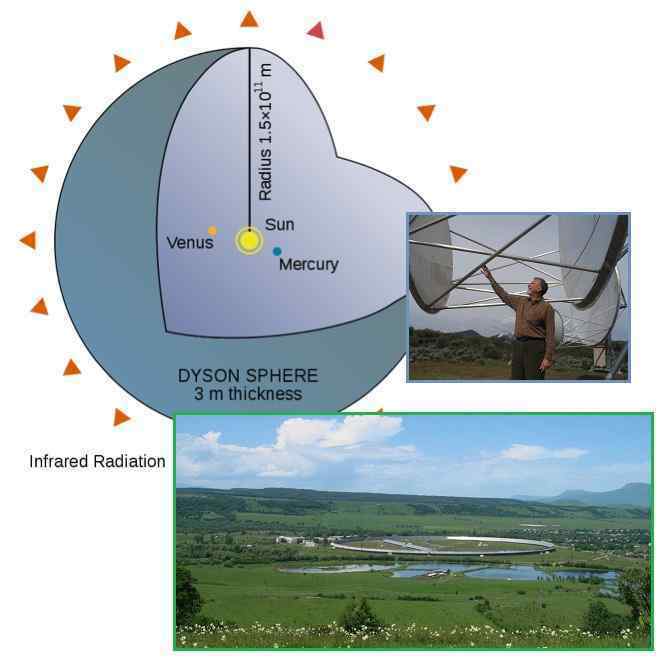 In his acclaimed work “Transmission of Information by Extraterrestrial Civilizations,” Soviet astronomer Nikolai Kardashev explained that a Type II civilization would be able to harness the energy of their entire host star. The most common hypothetical example of this would be a Dyson Sphere—which is a massive artificial structure that could completely encapsulate a star and transfer the energy to a nearby planet. [and from another] https://www.washingtonpost.com/posteverything/wp/2016/08/30/we-interrupt-2016-election-coverage-to-inform-you-of-the-small-possibility-that-there-might-be-intelligent-life-elsewhere-in-the-galaxy An international team of scientists from the Search for Extraterrestrial Intelligence (SETI) is investigating mysterious signal spikes emitting from a 6.3-billion-year-old star in the constellation Hercules — 95 light years away from Earth. The implications are extraordinary and point to the possibility of a civilization far more advanced than our own. The SETI nonsense is being promoted into the media in step with the increased discussions of potentially life bearing planets. As we explained from the start of the ZetaTalk saga, SETI’s mission is to provide an alternative to those too faint of heart to tolerate the idea of intelligent alien life visiting Earth. For the fearful, the ultra-religious who might have been told that all aliens are demons intent on dragging them to Hell, this is an alternative. Fear not, they are being told, they are not here, have not arrived, and in fact we’re not even sure they exist! If it were otherwise, surely an international team would not be making such efforts to discern radio signals from space! Space X has had successful launches and even successfully landed on its ocean platform in April (http://zetatalk.com/newsletr/issue500.htm). Why is it now blowing up during a test? What is the message? [and from another] https://www.thesun.co.uk/news/1710969/elon-musk-explosions-heard-at-cape-canaveral-space-centre-during-test-firing-of-spacex-rocket/ A rocket has exploded at Cape Canaveral space centre – blowing up Facebook’s £150million [$200 million USD] internet satellite. NASA says SpaceX was conducting a test firing of its pioneering unmanned rocket when disaster struck. The Israeli made Amos-6 satellite (pictured) was carrying technology to allow Facebook to provide wireless internet directly to smartphones in sub-Saharan Africa. 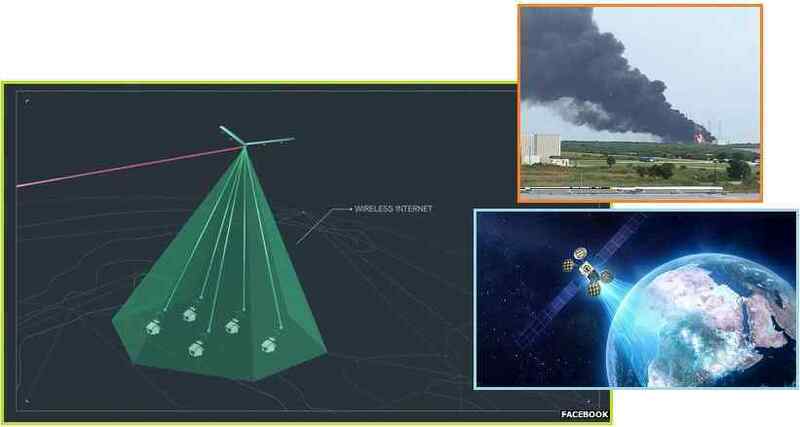 The Israeli made Amos-6 communications satellite was, according to Tech Crunch, carrying technology to allow Mark Zuckerberg's firm to spot beam wireless internet directly to smartphones in sub-Saharan Africa. SpaceX was leasing the pad from the Air Force for its Falcon launches. The company was conducting a test fire of the rocket ahead of its launch. [and from another] http://www.floridatoday.com/story/tech/science/space/spacex/2016/09/01/explosion-reported-spacex-pad/89710076/ SpaceX can confirm that in preparation for today's static fire, there was an anomaly on the pad resulting in the loss of the vehicle and its payload. The rocket was preparing for a test-firing of its nine Merlin main engines as a standard check of their readiness for launch, and the area was cleared for that hazardous operation. The satellite built by Israel Aerospace Industries also was destroyed. In addition to launching satellites, SpaceX is one of two companies shipping cargo to the International Space Station commercially, and one of two companies preparing to launch astronauts to the ISS under NASA's Commercial Crew Program. SpaceX had hoped to launch two astronauts on a test flight to the station within a year. [and from another] http://www.bbc.com/news/technology-34451081 December 2016 Facebook is to launch a satellite that will provide internet access to remote parts of Africa, the social network's founder Mark Zuckerberg has announced. In partnership with French-based provider Eutelsat, Facebook hope the first satellite will be launched in 2016. Internet.org is experimenting with different ways of providing internet to hard-to-reach places. Recently, the company told of how it was planning to use a custom-built drone to beam down connectivity. Eutelsat and Facebook will each deploy Internet services designed to relieve pent-up demand for connectivity from the many users in Africa beyond range of fixed and mobile terrestrial networks. Several companies already provide internet-by-satellite, but it is a costly option beyond the reach of most people in the developing world. [and from another] http://www.bbc.com/news/technology-33728704 July 15, 2015 Facebook has built its own drone that will bring internet connectivity to remote parts of the world, the social network has announced. This latest disaster on a Space X launch was a financial and progress blow to several entities – Elon Musk of Space X, Mark Zuckerberg of FaceBook, Israel Aerospace Industries, and NASA. That the explosion happened early in the process, during a pre-launch test, shows that a strong message is being given. Previous messages to Musk involved his intent to help the elite escape Earth prior to the Pole Shift, while participating in the cover-up over Nibiru. When the elite relented, allowing the multi-prong’d announcement about Nibiru to proceed, Musk was allowed to succeed with an ocean platform landing. The explosion thus was not aimed at Musk or his company. NASA was simply leasing its launching pad, and was not the target either. FaceBook is immensely popular and international, and Zuckerberg had announced almost a year ago that he intended to promote his internet.org via satellites and drones, to provide service to parts of the world with scarce access to the internet. Africa is clearly a key target. It should be no surprise that Africa is also a key target of many elite, who anticipate the high ground of Africa and its future temperate climate to be ideal for settlements and survival. Europe and India will migrate to Africa in droves, prior to the Pole Shift. Where satellites will be torn from the skies during the passage, prior to the Pole Shift itself they will function to some degree. Thus, those who have migrated to Africa, and set up settlements and formulated defense of their perimeter, will be accessing the internet via one of Zuckerberg’s satellites. As the satellites fail, these will be replaced with the Zuckerberg drones already in operation. All communications in the vast region of Africa will be known to Zuckerberg and his elite allies, who obviously include Israel. This information would be used for enslavement and control, and it is this effort that the Council of Worlds will not allow.